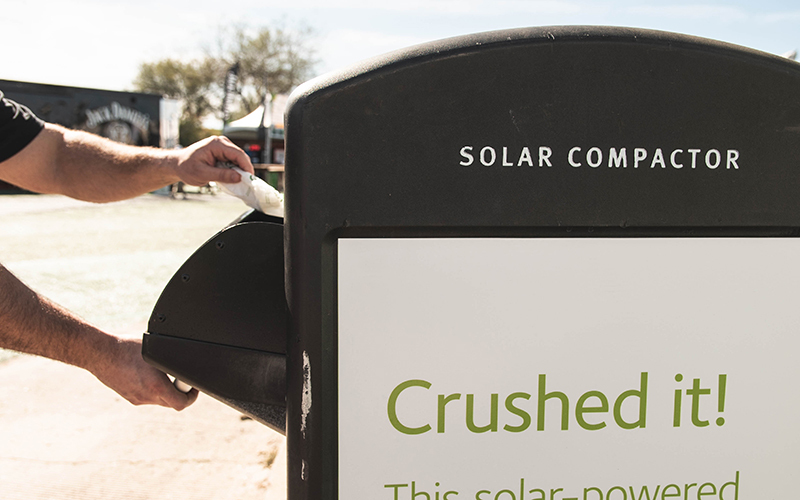 SCOTTSDALE – Staging an event of any size that aims to reduce waste is a challenge. Organizing one of sport’s biggest spectator events while producing zero waste takes a whole different level of creativity. 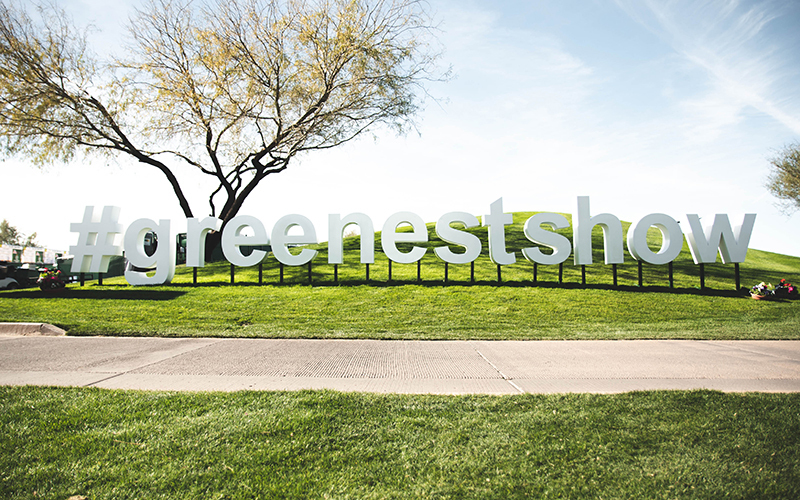 The Waste Management Phoenix Open launched its Zero-Waste Challenge in 2012, and since 2013 the PGA Tour event at TPC Scottsdale’s Stadium Course has managed to divert 100 percent of all tournament waste away from landfills. Instead, tons of water bottles, paper plates, beer cans, food and other waste generated by the more than 700,000 fans who attend the PGA Tour event each year have been repurposed, recycled, composted, turned into energy or donated. The effort has made the WMPO the largest zero-waste event in the world, according to the sponsoring Phoenix Thunderbirds and Waste Management, the waste collection and environmental management company in its 10th year as the tournament’s primary sponsor. Tournament and Waste Management officials announced this week that they have extended their agreement through 2030. However, as the tournament’s galleries, which already are the largest on the PGA Tour, continue to grow, so does the sustainability challenge. That’s where the creativity comes in. 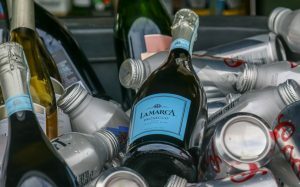 This year, the tournament popped the cork on a new initiative that aims to repurpose the thousands of empty wine bottles left behind by golf fans throughout the tournament’s suites and hospitality areas. Refresh Glass, a Phoenix-based company that gathers empty wine bottles from hotels, restaurants and resorts and then recycles the glass to create home décor items and glassware, is partnering with the tournament this year. Refresh Glass has a goal of repurposing 10 million wine bottles annually. Waste Management spokesman Rob Myers said Refresh Glass owner Ray DelMuro is arranging to gather empty wine bottles and broken glass from the tournament, transporting it to Refresh Glass and using it to make glassware and other items such as decorative candleholders. Part of Waste Management’s goal at the golf tournament is to educate those who attend about the value of recycling and composting waste. The tournament utilizes three Zero Waste Stations to provide the fun part. The stations are repurposed trash dumpsters transformed into colorful kiosks, each with an interactive game that teaches attendees how to recycle and compost. So Villalobos, who is trying to live “green” wherever possible, learned something. “I like to have a bag where I put my recyclables, and a bag to put my trash in,” she said. “That’s something I’m always working on at home to make sure I’m helping the earth and giving back to the community. The Zero Waste Station closest to the tournament entrance includes an educational water feature, new this year, to teach fans the importance of conserving water. To set an example, the tournament collects and reuses all grey water from the event’s food stands and bars, directing it to portable toilets. There are no “trash” receptacles at the tournament. Instead, they are clearly labeled for recycling or composting, and there are plenty throughout the 18-hole layout. Also, materials that are brought on site must be locally reused, recycled, or composted. Each vendor must sign a contract that requires them to use plates, napkins, and utensils that meet recycling requirements, reducing the amount of food-service waste. The tournament’s efforts have not gone unnoticed. In 2017, the WMPO became the first tournament in the world certified by the Golf Environment Organization, and the tournament repeated the honor in 2018. Underwriters Laboratories verified the tournament’s zero-waste status. While achieving zero waste is the goal, there are some days during the tournament that are more challenging than others. Friday and Saturday crowds at the WMPO are renowned for their size and rowdiness. There’s only so much tournament staff and volunteers can do to limit litter. But with roughly nine waste receptacles within view from just about anywhere on the course, they are able to manage. 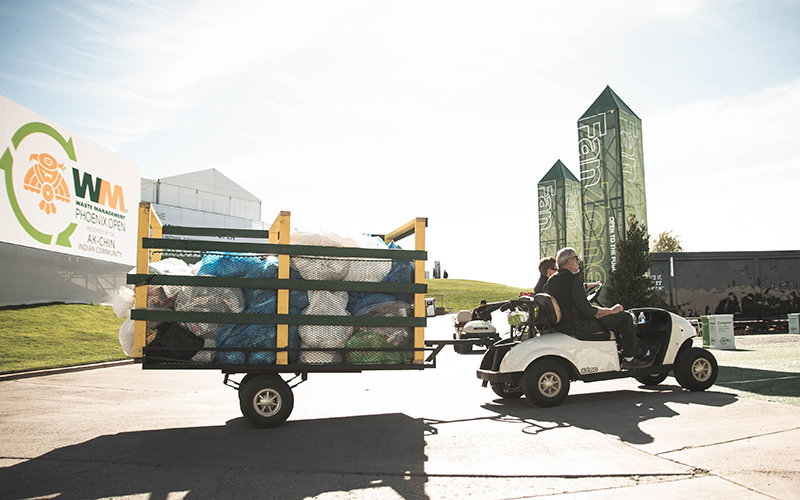 Lee Spivak, senior associate of Waste Management sustainability services, said the ultimate goal is to encourage and educate those who attend the tournament to make an environmental difference in their day-to-day lives. Spivak believes that with creativity and education, fans will buy in. “If you piss everyone off, they’re not going to change,” he said. “They’re not going to want to be involved. They’re not going to want to try to help you. So over the years, we’ve been trying to build up a culture shift, a foundation of what the norm is at this tournament.